What is the Promethean Western Tradition? In Greek mythology, the god Prometheus stole fire from the gods and gave it to humanity. The joys and sorrows of having stolen this fire snapped, crackled, and popped through the Middle Ages, the Renaissance, the Protestant Reformation, the capitalist revolution, the scientific revolution, the Enlightenment, the Industrial Revolution, Romanticism, and the socialist movements. What does it mean that we’ve taken the fire and run with it? At its best, the dialectical tensions have filled Western individuals, even its working class, with a sense of hope, confidence, and a sense of adventure. For better or worse, the American Dream is a product of Prometheus. Over the past eight hundred years, by virtually any standard, cultural movements starting with the Renaissance have been traumatic, liberating, or bitterly disappointing, depending on class perspective. The purpose of this volume is to describe, and analyze the psychological fallout that has occurred from playing with Promethean fire. This is a book about the historical origins of Promethean psychology. Many scholars. Dumezil (in Littelton, 1982), Benveniste (1973) and Hallpike (1988) argue that Western ways diverged significantly from the rest of world culture all the way back to the Indo-Europeans thousands of years ago. Others emphasize how the Hebrew religious tradition and Greek and Roman societies diverged from non-Western civilizations. But whatever the origins of the Western tradition, the continuation of these traditions in Europe used to be thought to be uneven. This book is about how Western psychology evolved to become “Promethean,” beginning with the Renaissance and concluding at the end of the 19th century. We will explore how and why the modern West, and specifically Western psychology, is different from the rest of the world, both for better and for worse. What does the Western concept of individualism have to do with the emergence of confession, diaries, lyric poetry, and mirrors? If Westerners are such individualists, then how do we explain the fierce loyalty of nationalism, which emerged during the French revolution and has never let up? In its pristine form, nationalism was a uniquely Western phenomenon. Why is this? West Asian and Eastern civilizations are much older; why didn’t they develop nationalism? What does being nationalistic have to do with Westerners having an individualist self? It is common to attack Westerners as being materialistic and obsessed with consumption. Marxists might suggest that consumerism has its roots in the fetishism of commodities and are tied to the Industrial Revolution. This is a problem for Marxists because interest in consumption predates the Industrial Revolution by a century. In any event, what does the preoccupation with material objects help us for understanding Promethean psychology? Do all cultures use their five senses in equal proportion? Cross-cultural psychologists say no. In some cultures, especially in the West beginning in the 18th century, touch, taste, and smell have fallen in stature while hearing and especially sight have risen. Why did this happen? What might the invention of the printing press, the microscope, and the telescope have to do with the organization of our sense ratios? What does the depreciation of touch, smell, and taste do to our Western identities? How true is it that we are what we eat and drink? Surely the prevalence of drinking and eating disorders today says something about our psychology. How is craving chocolate, coffee, and tobacco both a product and producer of Promethean psychology? Have chocolate, coffee, and tobacco always been available? How did the consumption of alcohol and chocolate go with the production of feudal society? Why did aristocrats prefer chocolate to coffee? Why does a budding capitalist prefer coffee to chocolate? Why did smoking cigarettes and drinking hard liquor first emerge among the working class employed in factories? Today sculptures of Greek and Roman gods might be understood for their artistic merit. Their myths are often dismissed with quaint stories of ways to understand nature before the rise of the Western science explained how the world really worked. Religious fundamentalists may triumphantly claim these gods were pagan illusions that were routed by Christianity. However, during the Renaissance, these gods and goddesses and their myths were understood to have a lot more to offer than just the products of artists or a set of religious beliefs. During the Renaissance these gods, goddesses and their myths were rehabilitated and believed to be connected to the workings of a “World Soul”, which could be tapped by performing rituals that sparked the human imagination. Frances Yates informs us that most early scientists were magicians and that those magical beliefs helped formulate the ideas of Copernicus, Kepler, and even Newton. What happened to this tradition when scientists began to interpret the doings of nature as a mechanical machine? What did Protestants and mechanistic scientists have in common when they attacked magic? Was the high magic of Bruno and Ficino part of the Western tradition? What are the implications for Promethean psychology? The witch craze of the 16th and 17th centuries was unique to the West. If people in the Middle Ages were more superstitious than they were during the Renaissance or the scientific revolution, why weren’t people attacked as witches in the Middle Ages? Why the 17th century? What might Marx’s notion of “ the primitive accumulation of capital” have to do with it? What does it say about Western ways of thinking that the deaths of at least a hundred thousand mostly women accused of being witches was even possible? According to Karl Morrison, religious artisans practiced medieval visual arts in the service of altering states of consciousness so they and other viewers might travel to a spiritual world. Their finished paintings were closer to being amulets than representational windows into an objective world. What effect did learning to see paintings in perspective have on the Western individuals who viewed them? The paintings of the Renaissance were revolutionary in introducing perspective, but they also constrained the individual in a closed universe. Why did the work of the Dutch masters expand the perception of the natural world and inadvertently promote Promethean psychology? Turning to the theater, we find that medieval plays are action based. Little attention is given to the intentions of their characters, the plots lack suspense, the stage is not set up to create illusions, and characters step out of their roles and talk to the audience. Don Le Pan tells us that all this changed in the early modern world, first with Chaucer and then with Shakespeare. What does the newly emerging appreciation of a character’s intentions, character development, complex character interactions, and suspenseful outcomes have to do with Western psychology? Does it make a difference to an individual’s development whether he or she reads epic literature or novels? Does it help or hinder individual development to read about extraordinary circumstances or everyday life? Does it matter whether individual outcomes whether the results of action are imagined to be the workings of the gods or individual responsibility? In this book, I will argue that there is a difference between becoming “civilized” and becoming “disciplined”. As it turns out, Elias’ argument for Promethean control over the senses, emotions, and behavior comes with being civilized and is class specific. Becoming civilized was Western psychogenesis for the middle and upper classes. The lower classes never became civilized. Instead peasants and artisans learned discipline. What did monasteries, churches, military platoons, asylums, orphanages, factories, and schools have to do with becoming disciplined? Historically, people in all societies agree that some of their members are mentally disturbed. But are there particular psychological disorders that are unique to Western societies? For example, did people always blame their parents for their psychological problems? Were the topics that people were too ashamed to discuss always the same? What effect did the Protestant Reformation, the Enlightenment, and the Industrial Revolution have on anxiety levels? Has the general level of anxiety changed from the Middle Ages to the end of the 19th century? During that same period of time, has the amount of pain people were able to endure changed? In the last hundred years, people in the West have considered that at least some of our motives and drives exist below our consciousness. But how far back does the concept of the unconscious go? Was there an unconscious before Freud? What does the emergence of an interest in the unconscious have to do with the French and Industrial revolutions? Is there a relationship between the stability or instability of a civilization and the presence or absence of a personal unconscious? We Westerners have inherited this Promethean tradition, whether we like it or not. All the above processes, taken separately and together, for better and worse, have built up Promethean Western psychology. How do all these Promethean processes affect each other? How might nationalism support individualism? How might individualism support nationalism? How might having a centralized psyche support becoming disciplined? In this book I will provide scientifically responsible answers to all these questions as well as provide you with deeper questions to probe. In my quest to understand the socio-historical roots of Western psychology, I have mined literature that addresses Western psychology from the perspective of psychohistory, the history of mentalities, and socio-historical psychology. I will use the socio-historical psychology of Lev Vygotsky and Alexander Luria to provide answers to the questions raised above. Lev Vygotsky was a Marxian psychologist who was instrumental in building a socialist psychology in the Soviet Union. Despite being in and out of trouble with Stalin, Vygotsky managed to influence the fields of child development, teaching and working with the deaf and blind. He accomplished all this in spite of political obstacles and having recurrent bouts of tuberculosis, which eventually killed him in his mid-thirties. Vygotsky was also very interested in how changes in the economy and technology in history changed people’s psychological states. In the former Soviet Union, Lev Vygotsky, Alexander Luria, and A. N. Leontiev set out to develop a new socialist psychology that was separate from the rationalist and empiricist epistemological traditions of the West, which extracted the individual from the social and historical processes that produced him and treated the individual in isolation. In the late 1920s, Luria chose to demonstrate how the most basic psychological processes such as perception, the concept of self, how objects are categorized, and how people reasoned were changed by dramatic historical changes, such as Russia’s transition to state socialism. To do this, Luria asked questions of three groups. He spoke to peasants who still lived on farms relatively untouched by the revolution. He compared them to peasants who moved from the farms to the city and worked in factories as well as those peasants who had enrolled in city schools. What Luria found were very different answers given to his questions about perception, categorization, reasoning and self-formation depending on whether people lived on farms or in cities. What I wish to do in this work, following Vygotsky and the Russian socio-historical school of thought, is to show how changes in socio-historical institutions, such as the emergence of science, capitalism, absolutist states, and media (printing press, newspapers, coined money), required changes in occupational skills by individuals in order to do their jobs. These changes in job requirements made people internalize these skills psychologically first at work, and then at home and in leisure activities. As these institutional processes changed throughout Western history, so did psychological processes. For example, the 17th century was a vital time for developing scientific methodology. It was also a time when merchants needed to increase the speed at which goods were produced and consumed. In the case of capitalism, this resulted in the increasing use of coined money, paper money, promissory notes, and bills of exchange. In learning to use these symbolic tokens, people had to reason differently. 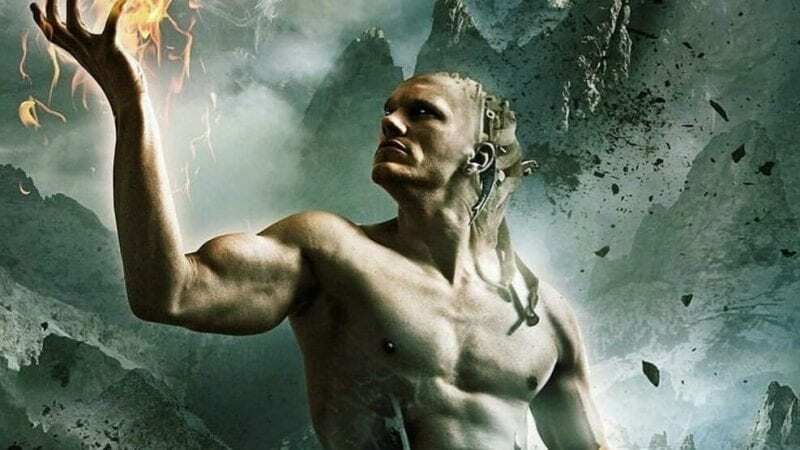 Understanding the history of Western Civilization through the story of Prometheus “forges” many Western movements into a single evolving dialectical whole complete with conflict, drama, suspense, crisis and hope. Whether we like it or not, what it means to be western has shaped the trajectory of humanity for at least the last eight hundred years and it will continue to shape humanity in the 21st century. Fate is the cards humanity has been dealt. Destiny is how we play our hand. As an author a long time poetically said, you can win with almost any hand in poker, but if you are going to play you hand at all you have to look at the cards you’ve been dealt. This book is an invitation to look examine our fate, and face our destiny. Bruce Lerro has taught for over 25 years as an adjunct Professor of Psychology at Golden Gate University, Dominican University and Diablo Valley College in the San Francisco Bay Area. He has applied a Vygotskian socio-historical perspective to the three books he’s written, found on Amazon. Read more of his articles and get involved at Planning Beyond Capitalism.